A bass drum is typically cylindrical with the diameter much greater than the height. There is normally a struck head at both ends of the cylinder. The heads may be made of calf skin or plastic. There is normally a means of adjusting the tension either by threaded taps or by strings. Bass drums are built in a variety of sizes, but size has little to do with the volume produced by the drum. The size chosen being based on convenience and aesthetics. A floor tom is a double-headed tom-tom drum which usually stands on the floor on three legs. However, they can also be attached to a cymbal stand with a drum clamp, or supported by a rim mount. The ride cymbal is a standard cymbal in most drum kits. It maintains a steady rhythmic pattern, sometimes called a ride pattern, rather than the accent of a crash. 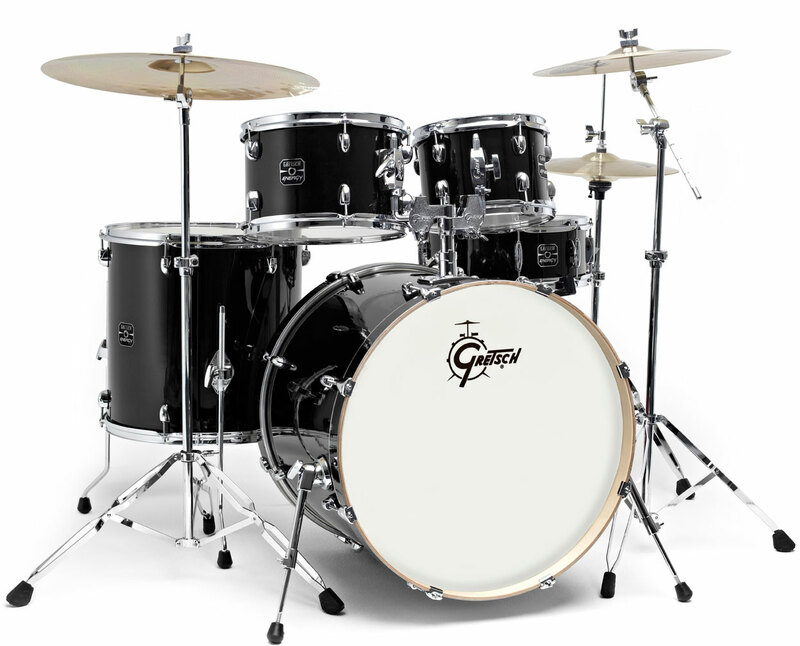 It is normally placed on the extreme right (or dominant hand) of a drum kit, above the floor tom. A tom-tom drum (which is distinct from a tam-tam, a gong), also known as a tenor drum l, is a cylindrical drum with no snares. The name came originally from the Anglo-Indian and Sinhala. The tom-tom drum was added to the drum kit in the early part of the 20th century. Most toms range in size between 6 and 20 inches (15 and 51 cm) in diameter, though floor toms can go as large as 24 inches (61 cm). A small drum in the form of a short cylinder with a membrane at each end, the upper one being struck with hard sticks and the lower one fitted with snares. It originated in military use. A hi-hat, also spelled hihat, is a type of cymbal and stand used as a typical part of a drum kit by percussionists in rhythm and blues, hip-hop, disco, jazz, metal, rock and roll, house, reggae and other forms of contemporary popular music. It is a standard part of the modern drum kit. The hi-hat consists of two cymbals that are mounted on a stand, one on top of the other, and a pedal which can be used to clash and hold the cymbals together. A crash cymbal is a type of cymbal that produces a loud, sharp “crash” and is used mainly for occasional accents, as opposed to an ostinato. They can be mounted on a stand and played with a drum stick, or by hand in pairs. One or two crash cymbals are a standard part of a drum kit.